RICHARD Dreyfuss has been answering questions about Jaws for more than 40 years, but there was one question he'd never been asked. Speaking to news.com.au to promote his upcoming appearance at Supanova Comic Con & Gaming in Sydney and Perth, the 70-year-old was genuinely stumped by a question about the iconic movie. "I have this thing where I say: 'I've been asked everything about Jaws. If you can ask me a question I haven't heard of I'll pay you $10'," Dreyfuss explained. "And that's a question I've never heard and I owe you $10." Seeing as Jaws is considered one of the scariest movies ever made and genuinely put people off going into the ocean when it was released in 1975, I asked Dreyfuss what's the most shocking reaction to the film that he's heard of. "I don't know," the veteran actor said. "I'll have to think about that one. Um ... I have heard that in Australia, that funny country over there, that the [Jaws theme] music is used as a shark warning on the beaches." 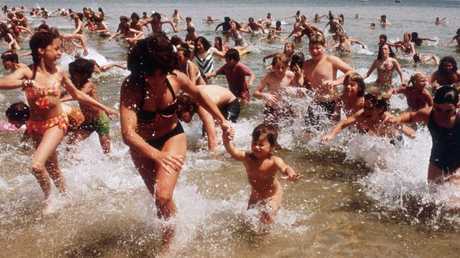 Jaws has been scaring beachgoers for more than 40 years. "Hmmm … I don't know if that's true," I told the actor. "Well, I've actually heard that from Australians, and I would admit that if I was in the water and I heard [Jaws theme] coming out of loud speakers, I would get the hell out of there," he replied with a chuckle. Just to make sure I wasn't mistaken I reached out to Surf Life Saving NSW who assured me the theme from Jaws is definitely not used as a shark alarm in Australia. "As effective as it might be at clearing the water, our job is to protect people on our beaches, not scare the crap out of them," a spokeswoman said. "Having said that though, there are lots of surf lifesavers who have been sitting on a rescue board and felt something brush against their leg and say they can hear loud and clear those two terrifying notes - duunnn dun … dun dun!" 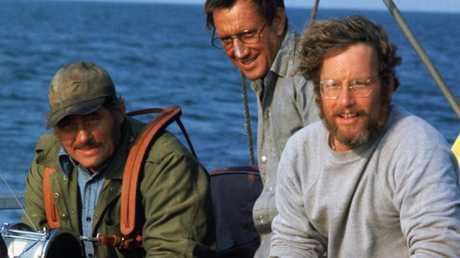 Robert Shaw, Roy Scheider and Richard Dreyfuss in Jaws. Here are the other highlights from my chat with Richard Dreyfuss. It's long been rumoured that Dreyfuss (who plays Matt Hooper) and his co-star Richard Shaw (who plays Quint) didn't get on very well on the set of Jaws. 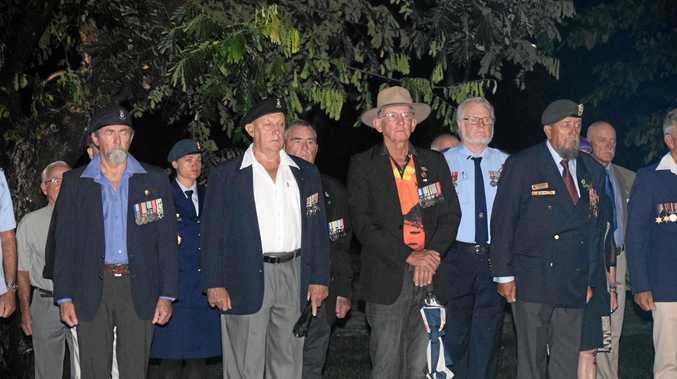 Dreyfuss insists that "there was no feud" but did admit to news.com.au "he did pick on me". "He only did it to me in front of the crew and in private he was the most gracious and the most intellectual and disarming, poetic guy," Dreyfuss said. "There was one day where I lost my sense of humour though," he said. "Robert had my number. He just psyched me out. … We were sitting at the top of the Orca [the boat in Jaws] and he was trying to make his way down the staircase and he was holding a glass of alcohol in his hand. He said, 'Help me out will you, Richard?' And I said, 'Do you really want me to help you out, Robert?' And he said, 'Yeah.' So I took his drink and I threw it into the water. eyes slipped down and he looked at me and I knew I was doomed. "The next shot was a shot of me at the cleats at the stern of the boat trying to untie the ropes from the cleats and the water was all over the place. Robert went behind the operator mic and he took the fire hose and he pointed it at my face, and that was the day I lost my sense of humour. But that was over the next day." 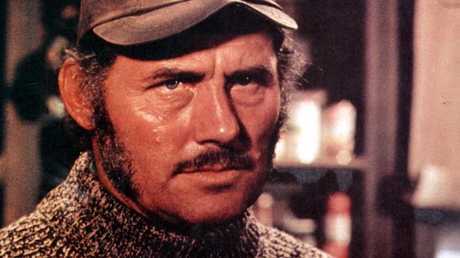 Robert Shaw died in 1978 aged 51. There's a scene in the movie where Robert Shaw's character, Quint, does a four-minute monologue about an incident during World War II. Quint tells Martin Brody (played by Roy Scheider) and Matt Hooper (Dreyfuss) about the time a US Navy ship he was on was struck by torpedos from a Japanese submarine and 800 men were eaten by sharks in the water as they waited for help to arrive. Robert Shaw loved a drink and decided he'd try and do the scene when he was drunk. "It was a disaster," Dreyfuss recalled. "That day … at four in the morning, Robert called Steven (Spielberg) and he said, 'How badly did I humiliate myself?' And Steven said, 'Not fatally.' And the next day he did the scene in one take." There's one question that Dreyfuss gets asked more than any other when people chat to him about Jaws. "I guess the most asked question is: What was the worst part of the experience of shooting Jaws?" the actor said. "That somehow makes people curious." The answer is: "The waiting. It was all about waiting. Waiting for the shark to work or waiting for the sail boat to get out of the shot. We waited all day long." As Dreyfuss mentioned, the cast and crew were constantly waiting for the mechanical shark to work. Three were built for the movie at a cost of $150,000 each and they were all given the nickname "Bruce", named after Steven Spielberg's lawyer. The sharks had never been tested in open water by the time filming began and it didn't take long for things to go wrong. "When you got it in the salt water, it started to affect the electrolysis," art director Joe Alves said. "Everything that was electrical in the shark dissipated rapidly." Spielberg dealt with the mechanical issues by showing less of the shark than the script originally called for and he came up with creative ways to hint at the creature's presence. "When the shark wasn't working, we shot everything we could shoot," Alves said. "What worked well for us is we used the barrels to represent the shark, and it did so in a very dramatic way. That was sort of planned, and it allowed us to keep shooting while we didn't have the shark." 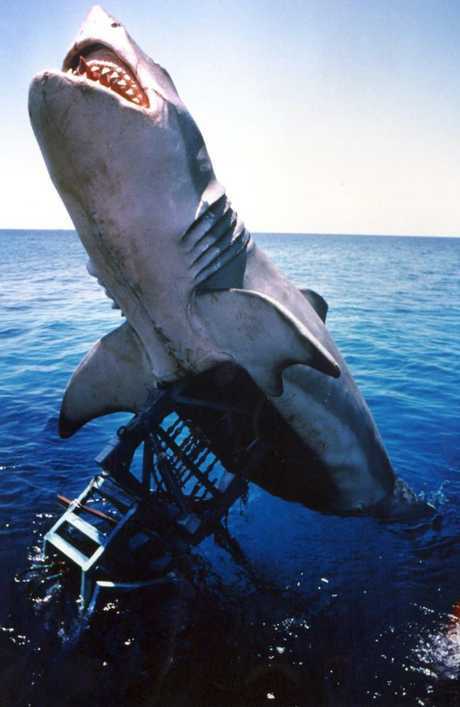 One of the mechanical sharks used in Jaws. Jaws is one of those movies that seems to pop up on TV at least once a year. The majority of us have seen it a couple of times at least, but that's not the case for Richard Dreyfuss. "From first scene to last scene? I think I've only done that once," the actor said about the number of times he's watched the whole film. "If I pass it on TV at a certain point in the film I'll watch it for a while … I watch my work to improve it and to enjoy it but I do that while I'm making a film and right after when I'm doing press. But then I go on." 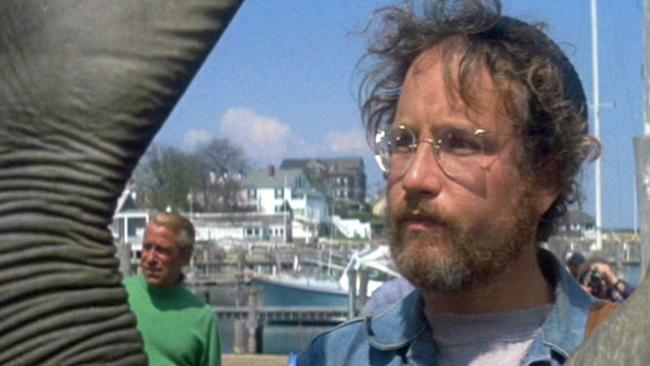 Richard Dreyfuss will appear at Supanova Comic Con & Gaming in Sydney: June 15-17 and Perth: June 23-24. Details here.